NOT all of us are lucky enough to live within the hallowed environs of the M25 – and that’s something each of us are going to have to deal with in our own unique way – but for those privileged to inhabit ‘that’ London, it just keeps on getting better and better. Not only do you get to read about the antics of the oafish politiclown Boris Johnson in the Evening Standard while travelling around in big circles on the underground ‘Tube’ train-railway, you also get a choice of two top gigs tomorrow night. Two great gigs! In one night! Unbelievable! Early doors is the opening night of a nationwide tour by the increasingly wonderful Wild Palms at Electrowerks. 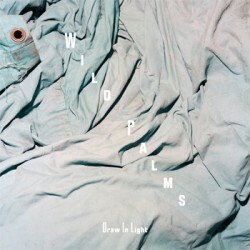 They are currently plugging what I have eventually come to realise is easily their most accomplished single to date, the superb To The Lighthouse / Draw In Light. More details here. Later on tomorrow is one of two UK dates for the It’s a Kind of Magic tour, at the latest talk-of-the-town London nite-spot, XOYO. Fear not. Despite the unfortunate name, as far as I’m aware there is no Brian May / Roger Taylor element to this tour, whatsoever. In fact, I’ve no idea what it’s all about and I can’t really be arsed to find out but it seems like an interesting line up with record-playing by Pilooski, the Magician and Mikix the Cat (I’m not making this up), and live appearances by the Aikiu and the Krays (vee Londontown: kudos), which I am reliably informed will be “a rollercoaster ride of joyful acid house, discofied percussion and the energy of a thousand twisted raves”. THERE are plenty of venues in Manchester that are bigger than the Band on the Wall, and there may even be a few with a higher profile – but none of them can boast the same kind of musical pedigree. A tavern, pub and venue which, in one form or another has been entertaining successive generations of Mancunians for the best part of 200 years, singing, dancing, drinking and carousing are part of the very fabric of the Band on the Wall. Indeed, the interior of the newly-refurbished and expanded venue, situated on Swan Street in the city centre, was for much of its life darkly lacquered with nicotine stains, spilled drinks, more than a little shoe-leather and the sweat from the brows of a thousand dancers, lovingly reapplied over the course of decades. For some, this only enhanced the gritty authenticity of the venue. For others, attracted by a uniquely visionary and diverse live music programme, it was a case of holding your nose and tiptoeing around the Band on the Wall’s flooded nether regions. Either way, the building’s deficiencies were beginning to get in the way of the entertainment it offered and it finally closed its doors in 2005, with a promise to return bigger and better at some undefined point in the future. Four years later, the gleaming venue is preparing to open its doors once again.